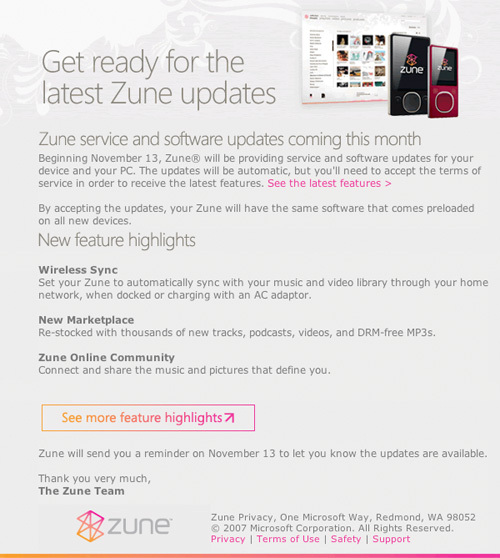 For existing Zune owners, be sure to mark November 13 on your calendar. A newsletter sent out to subscribers just moments ago confirms this as update day for both the Zune software and Zune hardware. In theory, Microsoft Update will dutifully handle the update process; if not, there'll always be Zune.net for the good ol' manual download and install. You joined the social last year. This year, you make it you.